Lime Green 2008 Kawasaki Ninja ZX-6R. 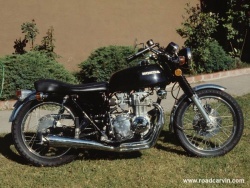 Hardtail Honda 350. Lowered with custom struts. This was one cool ride in the mid 1970's.